In 1827 Alexander Milne, a Scottish miller, purchased land along one of Toronto’s ravines, operating a woolen and saw mill along the creek that ran through it (known as Milne Creek, now Wilket Creek). Although a dwindling water supply forced the mills eastward to the banks of the Don River in 1832, the property, expanded to some 240 hectares, remained in the Milne family for over a century. 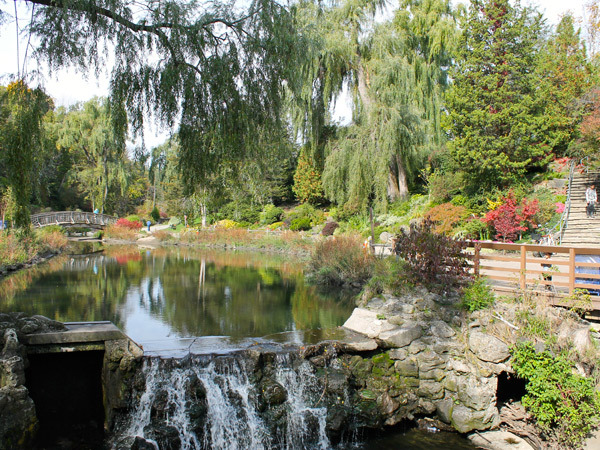 In 1944 Toronto businessman Rupert Edwards purchased the original Milne homestead, an eleven-hectare parcel that had fallen into neglect, and transformed it into an elaborate garden with flowerbeds, ponds, wooden bridges, a private nine-hole golf course, and a rockery comprising 425 tons of stone. On the site of the original Milne mill, Edwards dammed the creek and constructed an electricity-generating waterwheel to irrigate his gardens. 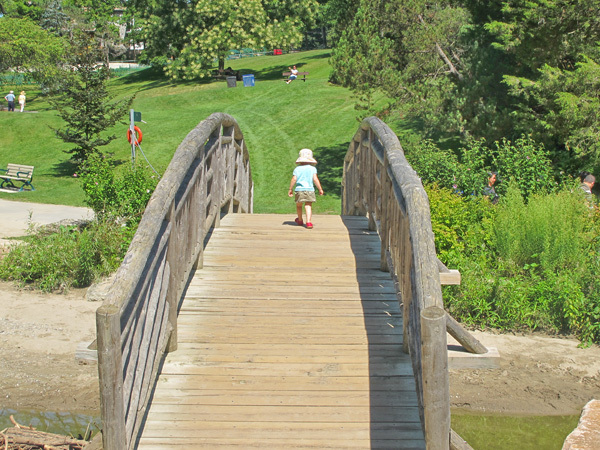 In 1955 Edwards sold the estate to the Municipality of Metropolitan Toronto upon condition that it be used as a park, and two years later Edwards Gardens opened to the public. 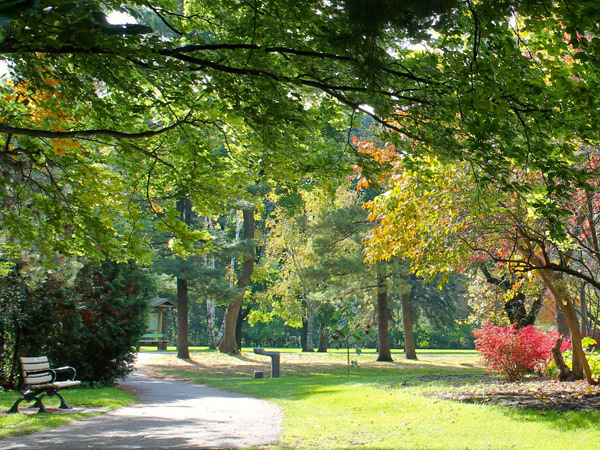 Now owned by the City, the park is composed of perennials, wildflowers, fountains, an arboretum, and an outdoor teaching garden. 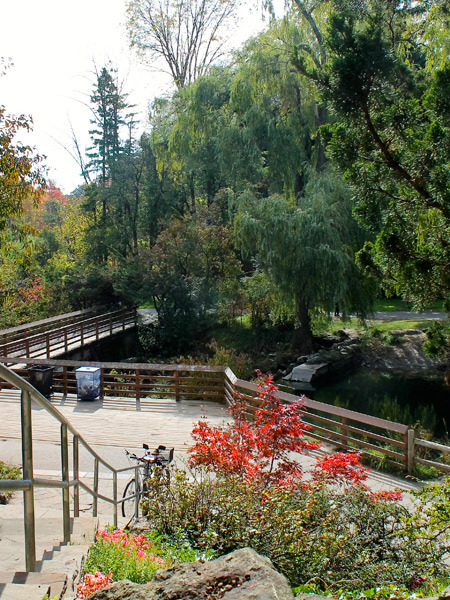 Adjacent to the creek, which cascades over waterfalls and is crossed by bridges, runs a paved trail—part of a nine-kilometer walk extending beyond the park through the Don River valley. In the mid-2000s severe flooding significantly impacted much of the landscape along the length of Wilket Creek, and its course within the park was subsequently altered. 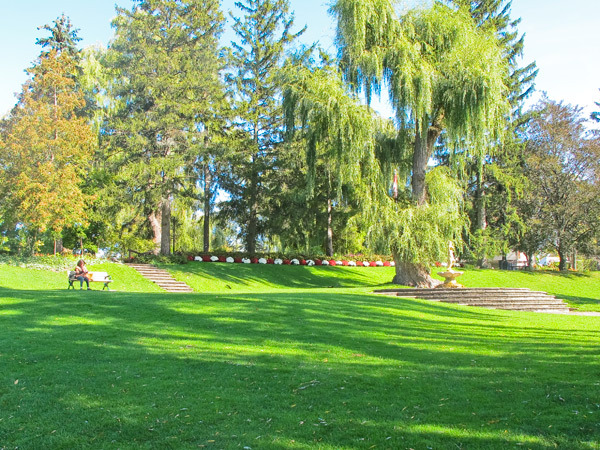 The park is adjacent to the 1.6-hectare Toronto Botanical Garden, some of whose buildings occupy its grounds.